If you are asking yourself if you need a lawyer for traffic violations in Georgia, the answer for most accused motorists is YES. Since Georgia Traffic Ticket fines and surcharges can exceed $1000 per offense, hiring a lawyer for traffic ticket offenses can save you money, but more importantly save you the stress and uncertainty of not knowing what impact pleading guilty (or even nolo contendere) will cause. Plus, in over 95% of our cases, we can save our clients with Georgia traffic tickets TIME, which is of extreme value to most of our highly successful clients. A misdemeanor traffic ticket Georgia case also can be very inconvenient to fight by trying to be your own lawyer, not to mention the facts that almost no one (who is not a traffic ticket lawyer) knows the many ways to avoid harsh driver’s license issues for “taking a plea” to a violation of Georgia traffic laws. Georgia traffic tickets are all misdemeanors. You could be standing in traffic court and have a winning defense or motion that COULD be asserted, but you would not know it. By utilizing an attorney for criminal defense services on a Georgia uniform traffic citation, you get peace of mind on this unfortunate Georgia traffic citation. The best Georgia traffic ticket lawyers know the many ways to favorably resolve a Georgia traffic citation, to minimize or eliminate a criminal record, points or both. 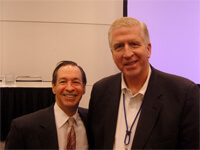 Knowing Georgia traffic law, and all aspects of negotiating misdemeanor criminal cases is of paramount importance. 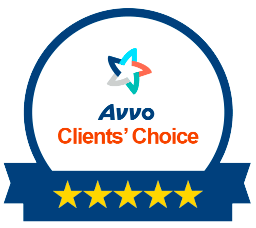 Most traffic court judges allow your traffic ticket lawyer to utilize a Power of Attorney to handle your case WITHOUT you having to come to court. 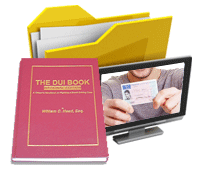 Serious officers, like DUI cannot be handled this way, but most Georgia traffic ticket cases can be handled in absentia (without you present). By having full knowledge of Georgia traffic law, you won’t miss an opportunity to “win” your case by either obtaining a dismissal, a reduction that will not be reported on your state DMV record, or some other diversion or deferred plea that will not trigger auto insurance consequences or loss of driving privileges. If a continuance is needed in your case, due to your health problems, or family necessities or work issues, our traffic ticket attorneys can usually get your traffic offense case “reset” to a better date, saving you a needless trip to Court. Our Georgia traffic attorneys know other traffic lawyers in all other states, and can get important information about how a traffic ticket could impact your driving privileges. Unless your prior driving history necessitates involvement from a traffic offense attorney in your state, this does not cost you money. Handling a traffic violation RIGHT the first time is critical. Too often, people TRY to handle their own traffic citation at traffic court, and screw it up. This snafu usually DOUBLES our fee, because we have to go “undo” the mess and try to beg the Judge to allow us to correct your error in judgement. Do it correctly the FIRST time, since some Georgia traffic court judges will not help you correct your error. Beyond saving your driving privileges in virtually all cases, we MAY be able to prevent a big insurance rate hike, for having a traffic ticket conviction or plea to nolo contendere. Our Georgia traffic ticket attorneys know the many ways to NOT have a traffic ticket Georgia be shown on your DMV or DPS record. Plus, saving you points can help keep future insurance rates down. Contact our 24-hour traffic lawyers now, at 404-567-5515. 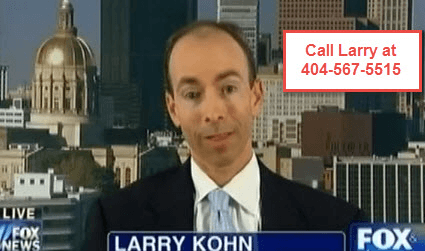 Ask for Atlanta traffic ticket lawyer Larry Kohn, who has represented citizens facing Georgia traffic violations in over one thousand Georgia traffic violation cases. Georgia traffic attorney Cory Yager was a traffic ticket cop in Georgia for nearly a DECADE prior to graduating from law school and joining our Atlanta law firm as a traffic ticket attorney 10 years ago. If your traffic violation occurred in the state of Georgia, but was OUTSIDE the metro Atlanta area, we can STILL HELP YOU. Our traffic ticket attorneys have more than 20 top traffic ticket lawyers in cities across Georgia, and can provide you with an instant referral. This includes both major cities like Macon, Savannah, Columbus, Augusta, Dalton, Albany and Athens, and smaller towns like Tifton, Thomasville, Valdosta, Blakely, Cartersville, Winder, Toccoa, and Carrollton. Every one of our law firm’s Georgia traffic attorneys are Super Lawyers for 2017. 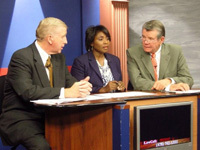 Law partner William C. Head is the State’s most widely-recognized legal expert on Georgia traffic laws, after 41 years as a criminal defense attorney for misdemeanor or felony charges pending in Georgia, including violations of Georgia traffic laws. Mr. Head is also Board Certified in DUI Defense by the National College for DUI Defense, which is a designation held by fewer than 70 DUI attorneys in America.